I can't tell you why, but this post has been one of the hardest to write. This year has been tough for me with work, health issues, and trying to get life into balance. Then just when you think everything can't get any crazier you get some news that reaffirms you belief in the path that you are on. To me this news is that special kind of news that if you talk about it you might find out that it isn't real. The reality is that for the longest time I did think that was going to be the case, but as usual God has a hand in the timeline of things. He has a path and a plan for me to follow, and as much as I try to not follow he keeps bringing me back to where he needs me to do his work. Let me start from the beginning. In 2010 I raced the Buffalo Springs 70.3 for the first time, and had greatly improved my performance from the year earlier in Oceanside. 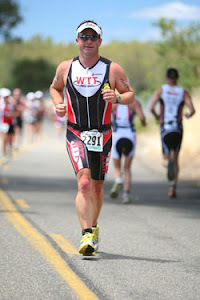 This was also my second year racing 70.3's, and after the first anniversary of losing my Dad. Well in all of the coolness that always surrounds Mike and Marti Greer, the race directors for Buffalo 70.3, they offered me a roll down spot for the 70.3 Ironman World Championships. During this time I was the Chair for what was at the time the Heart and Vascular Board for the Covenant Foundation. We were trying to figure out ways to help fundraise for renovations for the cath labs themselves, and the waiting room associated with them. One day over coffee with Valerie and Scott of the Foundation staff I asked if it was possible to use this race as a fundraiser. That meeting over coffee spurned a letter that was was sent out, and in 12 weeks we raised $26,105.00 towards the waiting room renovations. In our wildest dreams we never believed that we would raise that amount of money! In some of the original plans we had all hoped that we would be able to name the waiting room after my Dad, but instead something even more special happened. It happened with a casual meeting with a guy named Eddie Dixon that leases one of the buildings that I manage in my day job. The first time we met I swear we talked to each other like we were long lost friends, and I think that I am safe in saying that we both feel that way. To me Eddie is just one of the coolest guys to talk to, and once we usually start talking we will go for awhile. It was a long time before I really understood how well known and respected he was across the world for his sculptors. To me he is just my friend that I drop by when I can to share a few stories and laughs. Well one day I am telling him my full story of getting healthier, about my Dad, and finally about the fundraising for Covenant. Right then Eddie offers to sculpt a relief depicting my Dad that could be displayed in the waiting room. I had never been more humbled that Eddie would offer such a wonderful gift to honor a man that he had never met. I am so proud to announce that this Monday, August 26th at 3:00 pm Covenant is holding a ribbon cutting for the the newly renovated Cath Labs, and Heart Center 3 Waiting Room. I have been asked to speak at the ribbon cutting and we are going to unveil a donor recognition piece that will include the relief of my Dad, Jimmy Don Everett. If any of you can make it by Covenant this Monday it would be an honor to have you there. This is a very special honor for my family, but my hope is that it will turn into something that can help so many more people. This room is just like the many waiting rooms that we have been in over the years (just a lot newer). Our hope is that this room will be full of comfort and solace for those that are worried and praying for their love one to come out better. Not only because of new finishes and furniture, but it will have the image of a man that fought heart disease for so long. It will be attached to a story about the son of that man that knew one of the last gifts he gave his son was the knowledge that he had to do everything he could to not let heart disease win. 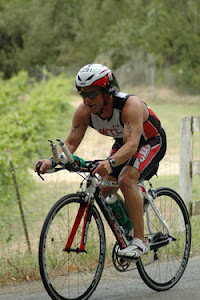 I'm finally getting some time to update everyone on my last 70.3 race here in Lubbock. I would love to say that it was the race that every thing finally came back together, but the reality is that it wasn't. I'm coming to the realization that it is just going to take time for me to be back to my normal. Whatever normal is for me. Regardless, lot's of great things came out of that weekend. Before I get to the race I want to tell you about the best thing that happened to us that weekend, and it had little to do with the race itself. Marti the race director texted me earlier in the week asking if we would be open to having a home stay for the weekend. I texted her right back and said we could, but of course I was very apprehensive on what crazy person was going to be staying with us. All I had was a name, Joan Hansen and that she was a past Olympian. A quick google search told me that she raced in the 3,000 meters in the 1984 Olympics, and even mentioned that after that her and her twin sister became accomplished professional triathletes. When I went to pick her up from the airport Friday I was expecting her to be there with tons of crap that us triathletes travel with to compete. Instead here is this very fit beautiful lady standing outside the airport with one small travel bag. I asked her where her bike was, and her response was (with a smile) that she is just going to borrow one. She was kidding, and instead had been asked by the Greer's to speak at the athlete expo about her Olympic Day and her past racing experience. Our families time with Joan was truly such a great blessing for us, and if you ever get a chance to host an athlete or in our case a guest speaker I highly encourage it! Even if you forget the fact that Joan is a past Olympian. She is just a great beautiful soul that can't help but add something to your life. As an athlete I took away so many things from Joan, but one really stuck with me after hearing her speak at the expo. The people that are behind you think of them as encouraging you to keep going. When you are racing beside someone you are encouraging each other to keep going. Then if someone is in front of you then you encourage them to keep going. When you are focusing on the people that are ahead of you then you are blocking your vision of the finish. This mentality isn't easy for many of us, because of our individual competitive natures. Sometimes you win sometimes you lose, but the reality is that we are going to a finish line. Whatever that finish line might be to you, it is your decision to decide to make your time here better by taking care of yourself. Either way you have to prepare yourself for the good times or the bad. Everything that I have been going through this year I really needed to hear what Joan had to say, because the reality is that my body is just not doing what it has been able to do in the past. If I have learned anything from the last few years is that I know what feeling good should feel like, and until recently I haven't felt that way. A lot has happened and I am working through it, but it will take time and patience. I really didn't want to verbalize this next part, but I have been afraid that the part of me that changed 4 years ago and wanted to inspire others to be healthier was gone. Thankfully, right when I had that thought a friend called to let me know that for the first time in many years he was under 200 lbs. There it was, the reason that I have been putting this out there is that if it helps one person keep going then it is worth it. Swim: 29:45 Swim felt great! Bike: 2:59:18 I was feeling like normal again on this ride. Stayed very steady. Run: 2:17:03 Run was feeling strong until about mile 5-6, and I started to cramp. I felt like that was as far as I could push my body. I have been hitting that point where everything just goes haywire in workouts as well as training, but it is starting to happen later and later. This race made me feel like my endurance and ability to recovery is coming back. The best part of the race was making that final turn for the finish, cramping and hurting, and their was Susan, the girls, my Mom, some friends, and Joan. I told them all that I was hurting and each of them just reminded me that sometimes you just have to ignore it. There is a fine line in ignoring pain, but when it comes to the finish you have to know that it is worth it. I wanted to quit, but I couldn't because I knew if I did that it would someday give someone else the reason to quit. Our visit with Joan, seeing our race friends, and the race itself reminded me that one of the great things about the people involved in endurance racing they are always wanting to help others be better. That can either be physical, mental, and spiritual. We all have our highs or lows, but most of us in this sport have realized that God blessed us with fragile bodies that we must take care of. I was very more sore than usual for a few days, but it was so great to get to race with the Greer's again. I can't say enough about what a great race venue and support you get when you race one of the Greer's Races. A great 4th of July with family and friends that was followed up with my 20th HS reunion, followed by a long weekend in Ruidoso with friends. It was so good to see everyone that I haven't seen in a few years, and I actually acted like a normal person that wasn't consumed with what workout I had to do that day. I truly took off for a week. It was a well needed rest after a tough last few months. Then of course it was always good to hear renditions of the things that I swear we could not have done, or at least things that my kids will never hear about. Also, I can't express how good it was to hear from a few of my alumni that they have enjoyed the blog. Then I jumped into a 91 mile ride at the White River Road Rally, and got into no man's land for three hours of a 5 hour ride. A little horse back riding. A few dinners with friends. Then a family trip to Concan for a few days of no contact with the outside cellular world. Great benefit of traveling to the Frio river! I'm still feeling off center, if that is a term, but I do feel like I am finally getting back to feeling that spark again. I have missed it, and am ready to not to have to force my will to fight. Well that is enough for one post, but there is a lot of cool stuff coming up. I promise that I will be posting again soon.